The President of Business Eswatini, Andrew Le Roux, has raised concerns that government seems to be formulating policies that go against the evidence and facts provided through research. He cited a number of ESEPARC studies whose recommendations have seemingly not been taken into account but instead invoked policy responses that do not benefit the intended sectors and the nation. Le Roux was delivering a presentation on ‘Why Facts & Think Tanks Matter to the Private Sector’ during the celebration of Think Tanks Day 2019 hosted by the Eswatini Economic Policy Analysis and Research Centre (ESEPARC) on Thursday (January 31) at the Mountain Inn. Furthermore, he said when it comes to the small and medium enterprise (SME) sector, “we know what needs to be done to spur economic growth but our government is still coming up with policies that specifically disadvantage SMEs. We keep making policy decisions that are exactly the opposite of what the facts lay out, we are making bad decisions that are not based on fact. “We need think tanks and the platform to discuss these issues. Look at our education system, we are not preparing our students for the world of tomorrow. We are the least innovative country in the world at tertiary level. With the right policies, we can change things. However, doing it from a platform of truth is absolutely critical. Think tanks and facts help us to better prepare so that we become sustainable and more resistant to risk,” he added. Le Roux said countries need to be risk averse as the economy needs to grow steadily to become sustainable “but we need the courage of our convictions. Think tanks are platforms for learning. It is important though that they must inform policy and not political combat. They also need to be independent, accessible, and objective”. As a parting shot, he said “in business, if you do not root your strategic decisions in fact, the business fails. As a country, we need to make strategic decisions that are based on fact”. Meanwhile, Chief Economist in the Ministry of Economic Planning and Development, Nomusa Dlamini, said until government knows what is happening in the private sector dimension, it cannot come up with policies that will be responsive enough. “ESEPARC is there to test why certain things are happening the way they are and what should be done. It is good that the country has so many research institutions as it helps us get information on what is happening on the ground. Economic issues are never thrown to economists to give advice, it’s time we engage the experts for us to realise economic recovery,” she said. ESEPARC, in coordination with the Lauder Institute of the University of Pennsylvania’s Think Tanks and Civil Societies Programme, joined over 160 organisations for a unique global programme involving a series of coordinated events intended to highlight the important role think tanks play in governments and civil societies around the world. The theme for this year’s events was ‘Why Facts and Think Tanks Matter’, which was intended to provide concrete examples of the research and educational programmes created by these institutions and how they serve policymakers and the public with the necessary evidence during this technology driven era of constant information. 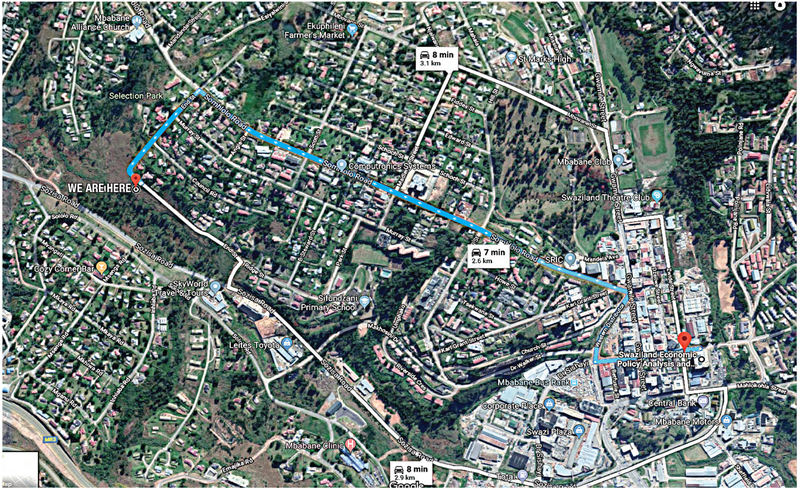 Special Economic Zones: What Should Eswatini Consider?